To promote business and community growth through active leadership in civic, cultural, legislative and educational programs. 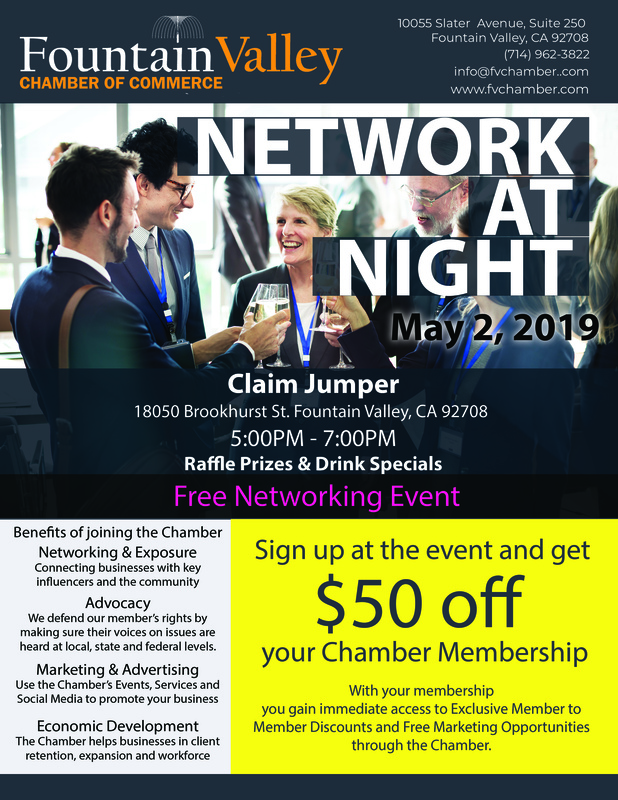 "It is essential that the City of Fountain Valley, the Fountain Valley Community Foundation, and other community groups have a trusted line of communication with the business community and the Fountain Valley Chamber of Commerce provides exactly that"
Welcome to the Fountain Valley Chamber of Commerce. We are dedicated to the growth of our member businesses and the community at large through active leadership in civic, cultural, legislative, and educational programs. We work closely with city officials, business leaders and civic organizations to build a sound economic base and orderly growth that benefits our entire community. 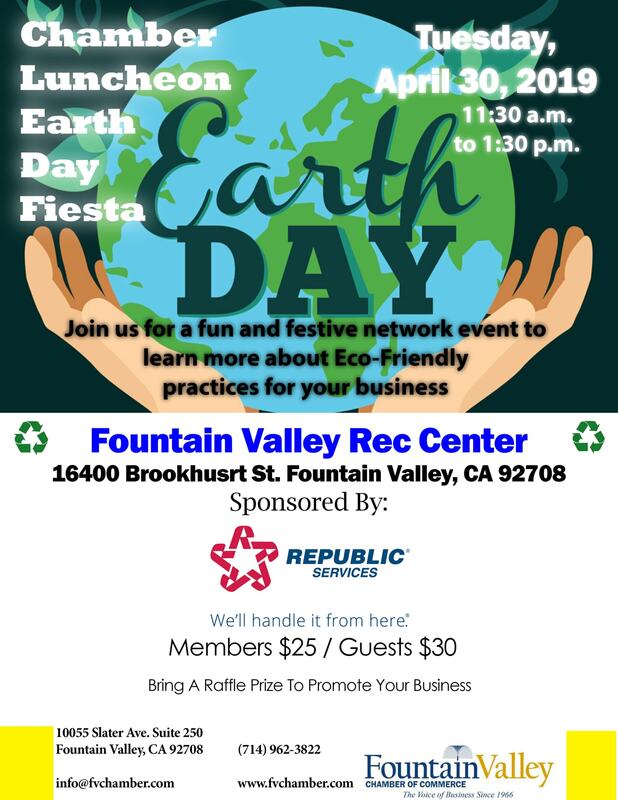 We invite you to see why we are “the trusted voice of business” in Fountain Valley. Members receive a wide range of benefits with their membership. To learn more see Member Benefits. We want to welcome the following businesses that have invested in their company's growth with a membership in the Fountain Valley Chamber of Commerce. Chamber Office Depot members have access to deeper discounts when shopping from the special pricing list. View the - Core List - Containing 60% savings over hundreds of commonly purchased items. (Prices subject to change) Not yet a member of the Chamber Office Depot Program? - Click Here - to sign-up now! It's FREE. 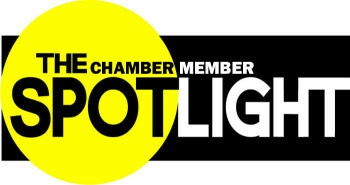 This month's Member Spotlight features Brian with Brian G. Realty. Get to know him in our Spotlight. This quarter's Non-Profit Spotlight features The Braille Institute Learn more about their organization and how they support their client base and community. Click on their link to find out more about their business/service/product!